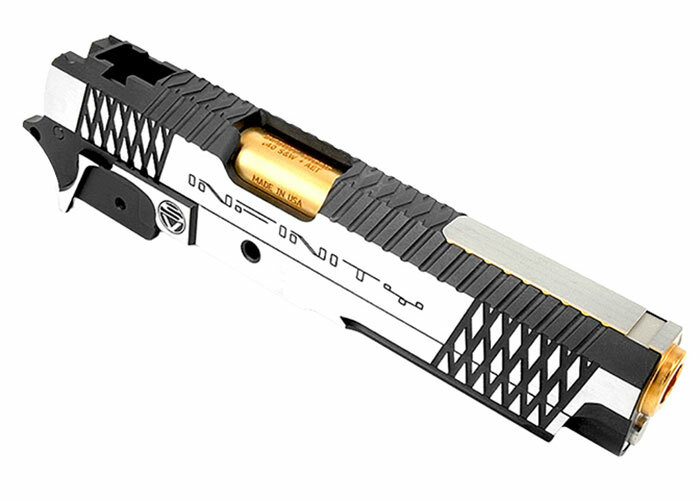 The Airsoft Masterpiece Infinity Cross Sight Tracker is an upgraded lightweight reinforced aluminum slide. 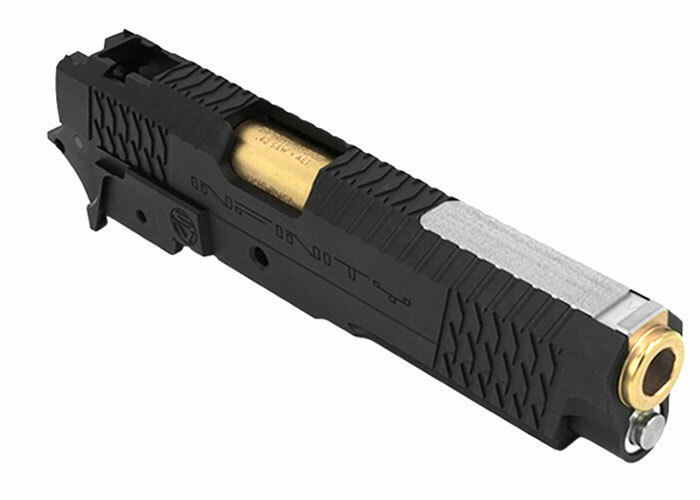 Great for replacing the original plastic slide on TM series Hi-Capa pistols. This slide features unique serrations that help with grip and lightening the slide for better performance and gas consumption.